Salt River Fields is home to the Arizona Diamondbacks and Colorado Rockies. The ballpark is on the Salt River reservation bordering Scottsdale. Metro Phoenix is the baseball capital of the world with more Major League Baseball games played here than anywhere else. That includes 81 Arizona Diamondback games each summer, Fall League and well over 200 spring training games played in 10 Valley ballparks that put fans close to the players and the action. 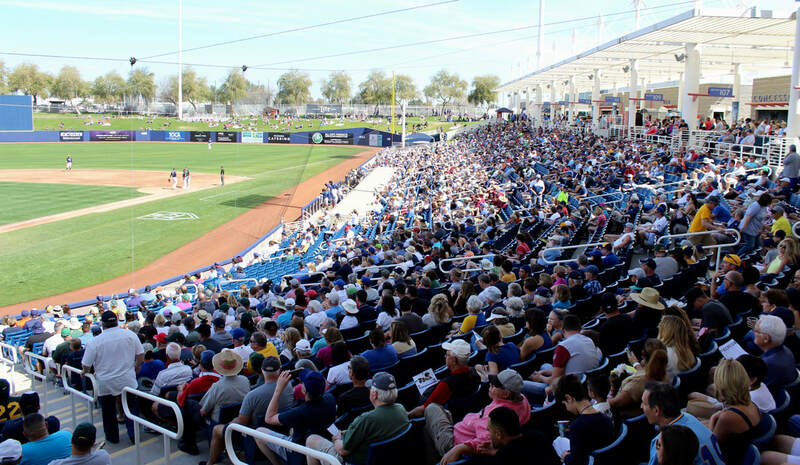 I covered development of the Cactus League for the The Arizona Republic for a dozen years and during that time new stadiums opened and attendance soared. I also worked as a beer vendor in 2009 at Scottsdale Stadium. These are all nice ballparks and a great place to spend a spring afternoon or an evening. Be sure to wear sunscreen and on most days opt for a seat in the shade. Hits: Great spot to people watch, tan and enjoy the baseball with a Bay Area vibe. The host Scottsdale Charros civic group has a cushy party deck in right field. There are lots of downtown bars and restaurants. Don't miss an iconic spring baseball spot, Don & Charlie's with its vast collection of memorabilia. Try one of Scottsdale's oldest bars, the Coach House Tavern, 7011 E. Indian School Road, or the Blue Moose closer to the ballpark. Whiffs: Costly tickets that are hard to get for weekend games and parking is spread out all over downtown. Home teams: Arizona Diamondbacks and Colorado Rockies. Hits: The home team Diamondbacks. Great views of the McDowell Mountains. Party pavilions with spots to enjoy a beer with your baseball without being moored to your seat. Plenty of shade. Full access to practice fields. Plus, this is the only big league ballpark on an Indian reservation -- the Salt River Pima-Maricopa Indian Community. Parking is $5. Whiffs: Sellouts common for weekend games and costly tickets. Opened: 1997 for Chicago Cubs; 2015 renovated for Athletics. Hits: Tailgating in the grass parking lots and an old school vibe with the Hohokams as Mesa's traditional hosts. Whiffs: It's not close to downtown Mesa or any other hub of restaurants and bars. Concession service can be a little slow. Hits: A new-style ballpark with an open concourse that allows fans to keep an eye on the action while they're headed to the concession stand. Spacious ballpark with lots of room on the outfield lawn. Whiffs: Dynamic pricing like the San Francisco Giants with higher prices for the most in-demand games. Plus, a scarcity of tickets for many games. ​Expect sellouts for nearly every home game. Hits: An attractive new-style stadium and one of the best set-ups for its practice fields with lots of shade and water features. Plenty of adjacent parking. They've added two large shade structures on the first-base concourse and a video board in right-center field. Whiffs: Traffic congestion exiting Loop 101 and along Camelback Road, the main route to the stadium. Take Indian School Road west to 107th Avenue and head north toward the ballpark. 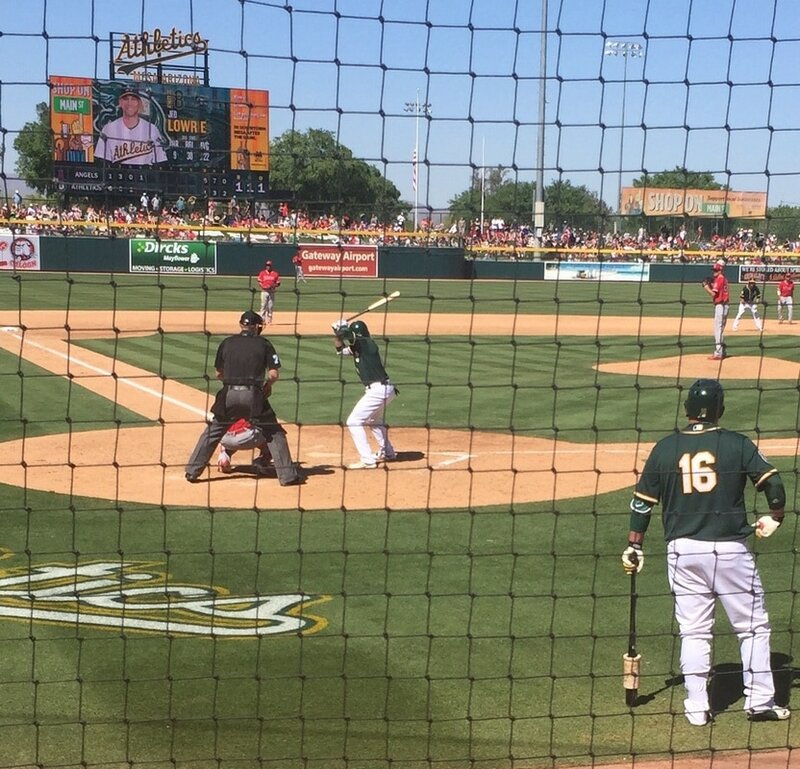 Hits: This is a comfortable old-style ballpark with virtually the same design as Scottsdale Stadium and Hohokam Park. It was upgraded in 2015-16 to improve the fan experience and add VIP seating areas..
Whiffs: Exiting Loop 101 at Bell Road at game time is a glacial experience. Take surface streets in from the east and south, including 67th, 75th and 83rd avenues. 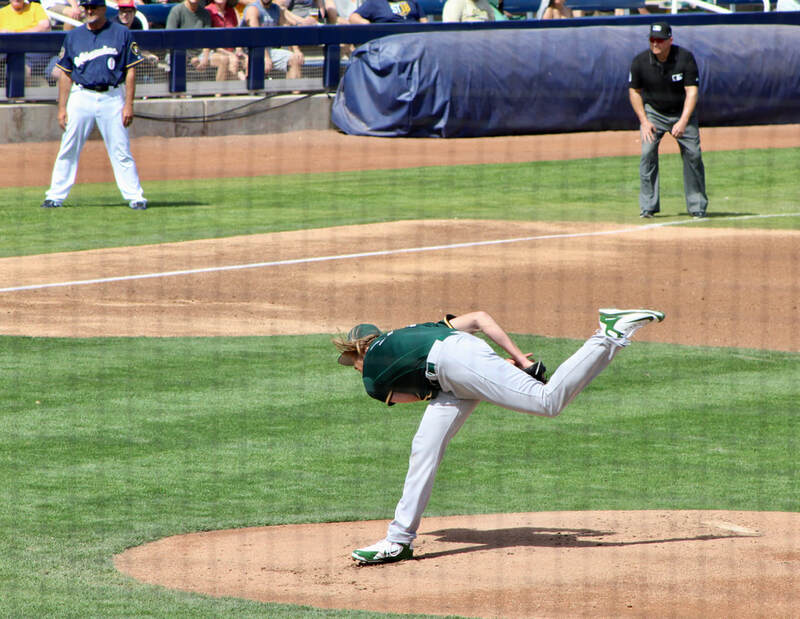 Billy Butler of the Oakland A's on deck at Mesa's Hohokam Stadium in 2016. Hits: This is the Cactus League's oldest stadium. It originally hosted the short-lived Seattle Pilots. Diablo is also the most unique Cactus League ballpark with its Southwestern design. Whiffs: Diablo has limited outfield seating and overall it's a little cramped. Plus, this ballpark off Interstate 10 is challenging to get in and out of for motorists. Hits: The Brewers spring ballpark, formerly Maryvale Baseball Park, just completed a $60 million renovation that improved the clubhouse, concessions, restrooms and other features. The new ticket offices behind homeplate and in right field have improved stadium access. ​This pleasant ballpark is a good place to tailgate with friendly Wisconsin fans, who love their beer, baseball and Packers. It's also been a good park to visit on weekends because you can usually walk up and buy a good seat in the shade for $18 unless the Cubs or Diamondbacks are playing. That might have changed with the Brewers success in winning the National League Central title in 2018. Parking is $5. Whiffs: This 21-year-old stadium has a narrow concourse, seating aisles and no cup holders. Maryvale is also in between Valley freeways so it's inconvenient to get to the ballpark. And Bob Uecker no longer broadcasts games in a lawn chair with his shirt off like he did way back in the day when the Brewers played in Sun City and fans parked their golf carts along the outfield fences. Hits: This comfortable ballpark has an abundance of parking and in most years getting a decent seat on game day has not been a problem. That changed after the Royals won the 2015 World Series. The Rangers also drew well after they played in the World Series in 2010-11. Whiffs: This far Northwest Valley stadium is a long drive from hotels in Phoenix and the East Valley where most of the fans stay. Whiffs: This bare-bones stadium is way out in the Southwest Valley along Interstate 10 a few miles past Loop 101. The seats are too close together and the concourse is narrow. 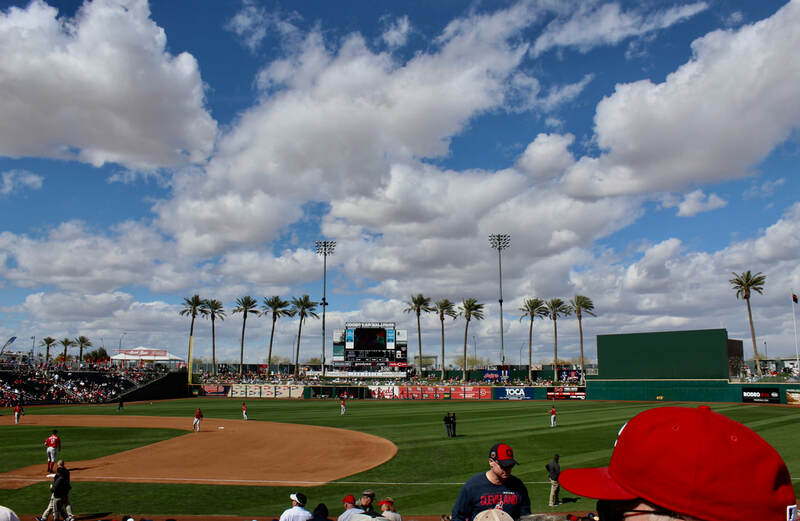 Ohio fans can see both the Cincinnati Reds and Cleveland Indians at Goodyear Ballpark just south of Interstate 10 about 6 miles west of Loop 101. 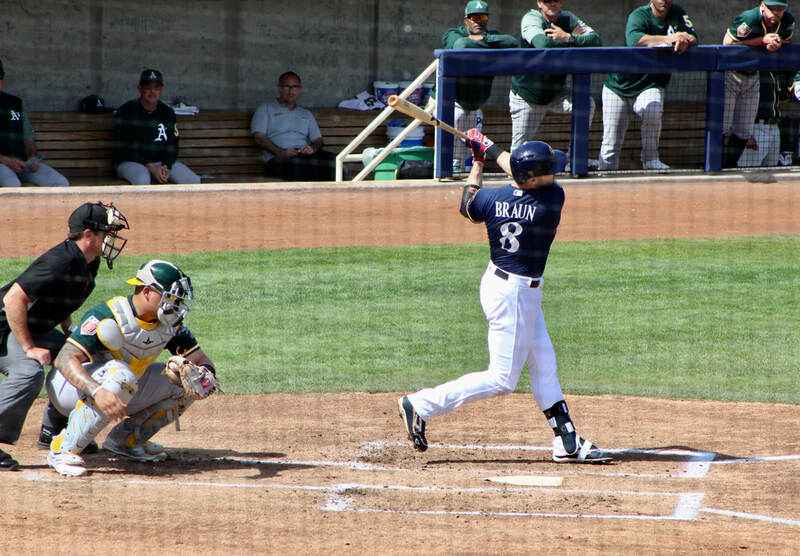 Ryan Braun (above) at the plate in Maryvale. Oakland left-hander A.J. Puk (right) is expected back this season after Tommy John surgery. 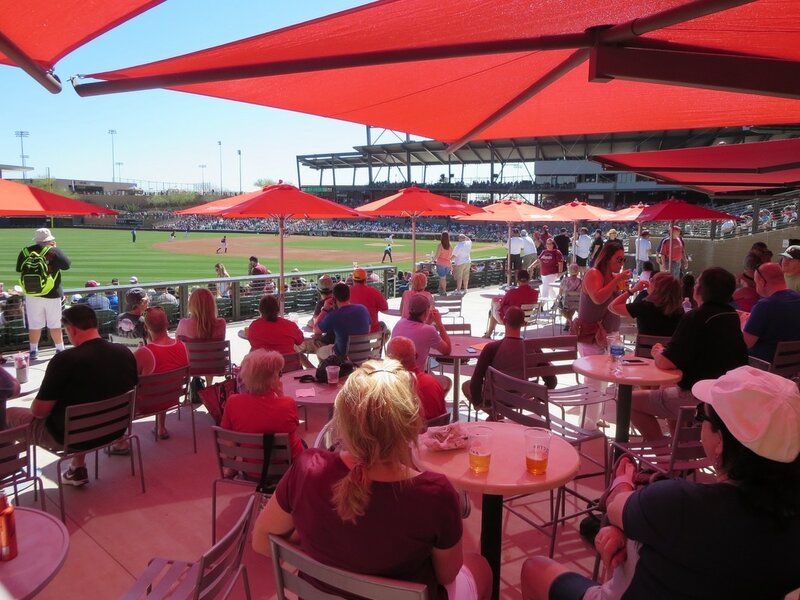 Fans can watch the game from the shaded beer gardens along both foul lines at Salt River Fields, home of the Arizona Diamondbacks. Tim Tebow in the Fall League at Peoria. San Diego Padres and Seattle Mariners share this park in the spring. Peoria Javelinas use it in the fall. 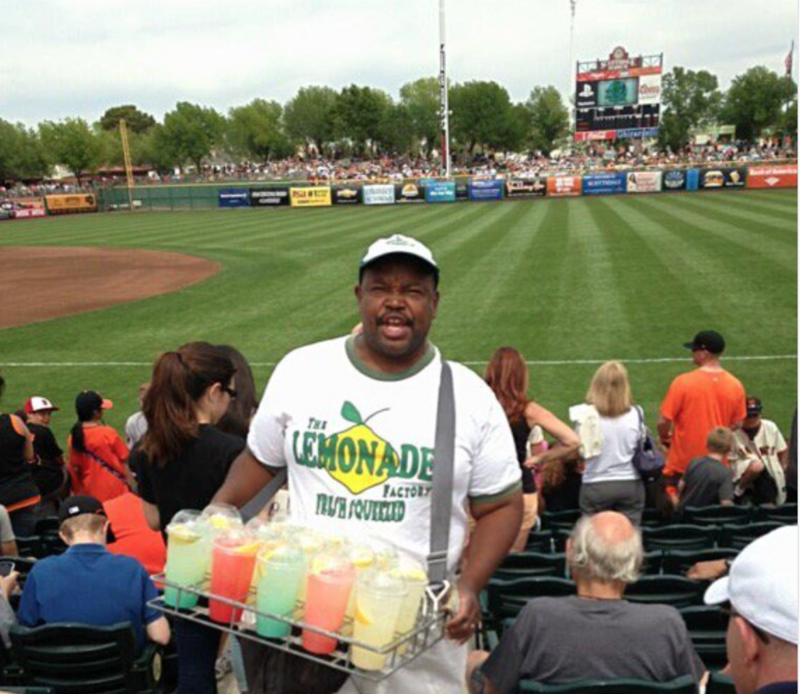 Cactus League Hall of Fame vendor Derek Moore always amuses fans with his call: "Yummy, yummy, yummy! Ya-know you want it." Maryvale Baseball Park just completed $60 million worth of improvements for fans and players. It's been one of the Cactus League's more affordable parks.